Assembling the winter storage chest face. Many layers of plywood creates a consistent layering effect while allowing for greater surface depth in select forms. 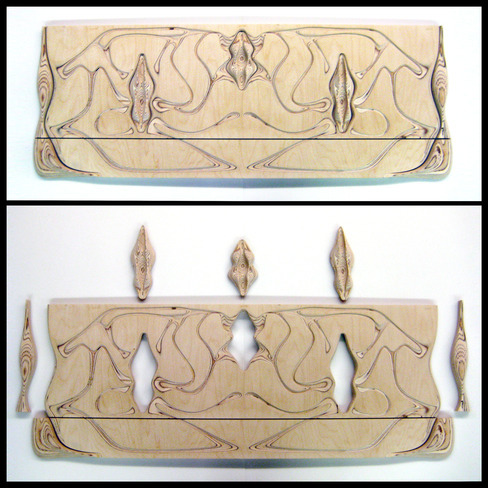 The CNC Router can maintain extreme precision, allowing for tight fitting parts with almost no seams.